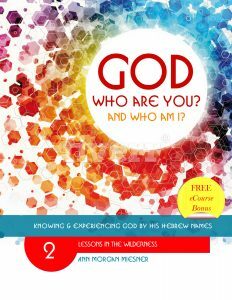 FREE Book Download | GOD Who Are You? AND Who Am I? As a believer in Jesus Christ, did you know what to do with what you got? The second book in the 4-part God Who Are You Series is FREE for a limited time. You just need to tell me where to send it! Discover victory through Scripture interspersed with stories of real people who used to be where you are today!